We live in a society that is based on passion and ignorance. This is all we know; nothing else. We have become conditioned by this society and continue to remain frustrated and unfulfilled by it. 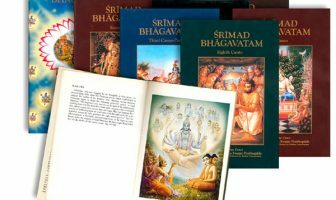 Even when we come into contact with spiritual life, we become convinced by transcendental knowledge to a degree and prepare to take up the process, however, still we find it very difficult to fully enter into the culture of Srimad Bhagavatam. If for instance, we come together with a few devotees one evening to have Krsna katha, it may be perceived to be weird or socially awkward. This is because culturally, we are still hanging onto our own conditioned culture, which happens to be one of passion and ignorance. 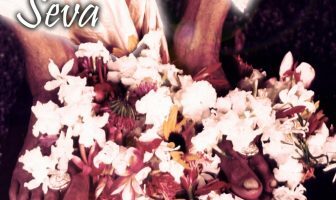 Srila Prabhupada however consistently had a vision of pushing Krsna consciousness, and enabling people to conform to the standards of Srimad Bhagavatam. 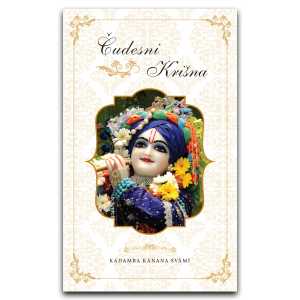 He went beyond all social convention that people are used to and took every opportunity to glorify Krsna. 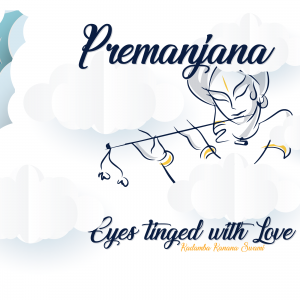 He envisioned a Krsna conscious society where seekers of the absolute truth were never allured by unnecessary engagement in sense gratification. He described such a society, where its residents were always engaged in pursuing their spiritual goal. 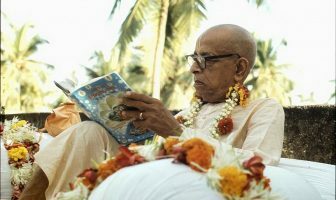 Not only was Srila Prabhupada explaining such a vision, but he was actually starting such a society where the Srimad Bhagavatam was put into practice. He created a community of people who are living by such standards, which seems almost inconceivable in the modern context!